Get 'em while they're hot on May 18. When it comes to food fads, there's "odd," there's "mind-blowing," and then there's "break-the-internet." Burger King and Cheetos are going for the latter. Actually, they already did. Break the internet, that is. Last year, the two brands joined forces to debut Mac n’ Cheetos, which are something like mozzarella sticks, but with macaroni and cheese where the mozz should be, and orange Cheetos powder in place of breadcrumbs. People loved them. 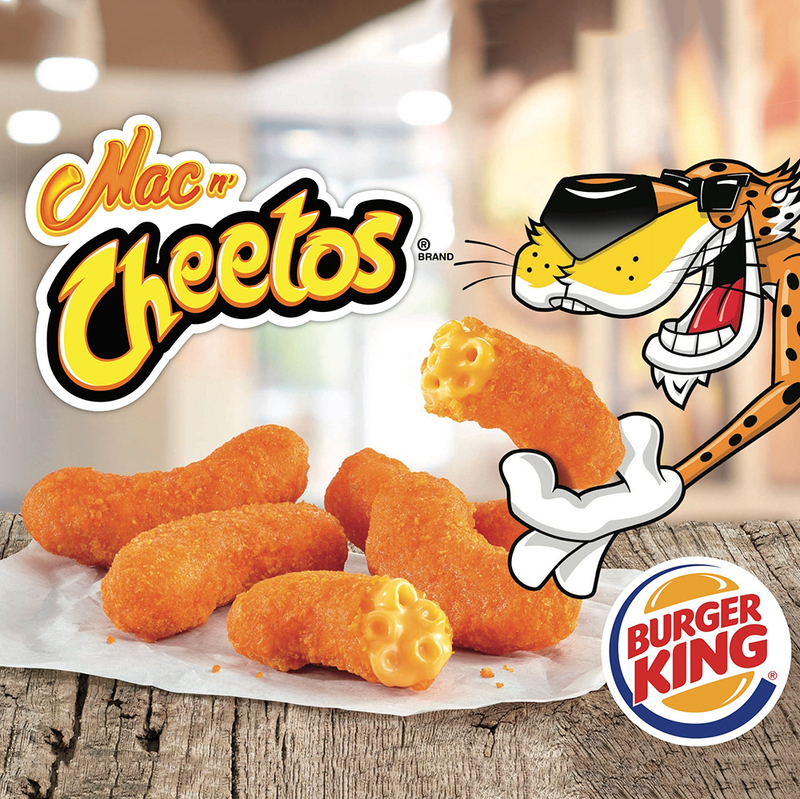 Which is why, although the snack was initially offered only for a limited time, Mac n’ Cheetos are on their way back to participating Burger King restaurants all around the country beginning May 18. Back in June 2016, when these guys were first introduced, they cost $2.50 for a container of five. Whether you're into the concept or not, you've got to admit that it's pretty much the ultimate in unhealthy late-night snacks...making this a pretty sweet deal.